Real Madrid forward Cristiano Ronaldo has told Coach magazine he does not have a “big rivalry” with Barcelona’s Lionel Messi and instead there is a “big mutual respect” between the pair. 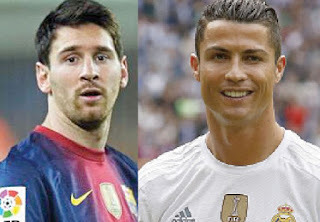 Ronaldo, 31, and Messi, 29, are considered two of the best players in the world and have consistently starred in La Liga in recent years, competing for rival clubs Real and Barca. Messi has scored 14 goals in 11 appearances for his club this season while Ronaldo has four goals in nine appearances for Los Blancos. Ronaldo cited himself when asked who has been the key influence on his career while he was also quizzed on which teammate had been his biggest inspiration. The Portugal international said, “My biggest inspiration has always been myself; nobody puts bigger demands on me than me. Table-toppers Real are next in action at Alaves in La Liga on Saturday while reigning champions Barcelona host Granada. Next articleRejection of political appointments: A new departure?